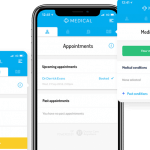 London, 20th November, 2018 – Perkbox, Europe’s fastest growing employee experience platform, is today announcing the launch of Perkbox Medical, an affordable, accessible and easy to manage private healthcare solution designed to dramatically reduce health insurance costs for every company. With this new product, Perkbox aims to work alongside the NHS to complement the areas where public healthcare truly excels, whilst fast-tracking patients through the areas where it’s most challenged. In doing so, it promises to more than halve the standard cost of private insurance, giving businesses, large and small, the opportunity to provide private medical health cover to its employees. Over one million people a week in the UK struggle to see a doctor. GP surgeries tend to only be open during the usual working hours and many are stretched to fit everyone in, resulting in two weeks appointment waiting time. On the other hand, absenteeism at work is costing UK businesses £77bn/yr. Yet, a private health insurance policy in the UK costs an average of £1,400/yr. On top of this, there’s the admin involved in getting these benefits up and running – wading through jargon, comparing confusing policies, conducting a census of their staff and making big decisions about what they can and cannot afford to cover. 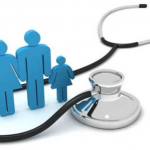 Only 8% of the UK population currently have access to private healthcare. 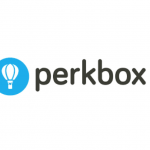 Perkbox Medical solves for the main causes of absenteeism in the UK and supports the NHS with patient issues that are in highest demand through public healthcare. These include primary care (GP appointment, prescription and referral) and diagnostics (MRI, X-rays, CT and PET scans). Services are built into a fully integrated app, making them available on-the-go, 24/7. It’s a tiered solution, making at least some level of health cover available to every UK business and giving employers an extra layer of flexibility.